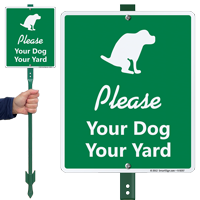 Install our sign to remind pet owners to keep their furry friends in their own yard. 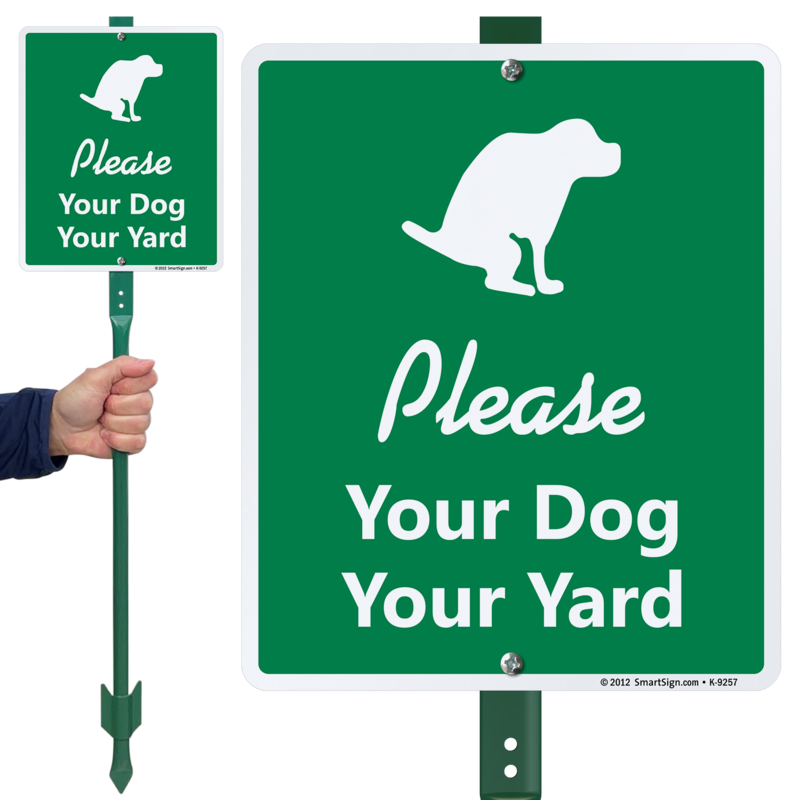 • Sign with the graphic lets owners know that their dogs cannot relieve themselves in your yard. • Sign features rounded corner to offer a professional look and prevent cuts, fraying etc during installation. Excellent and kind sign, yet it tells your neighbors you mean business about keeping their dogs at their own house .